From our Precious Essentials collection. Used extensively in incense and fine perfumery for thousands of years, frankincense essential oil is characterized by a sweet, balsamic aroma. Often used in face creams and oils for aging skin. 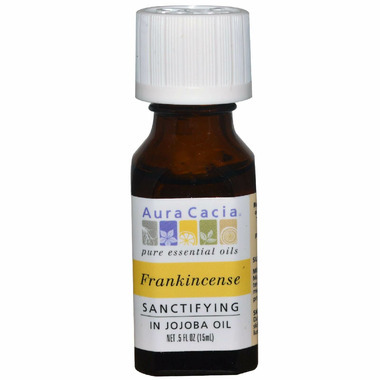 Ingredients: Simmondsia chinensis (jojoba) oil, boswellia sacra (frankincense) oil. Lovely smell to diffuse. I also have placed in bath water and like that it is in jojoba oil and not glycerin.